Rep. Jim Costa (D-Fresno) announced today that the City of Fresno will receive $3.04 million to improve infrastructure and boost economic development. The investment award from the Economic Development Administration is anticipated to create 327 jobs and spur $35 million in private investment. 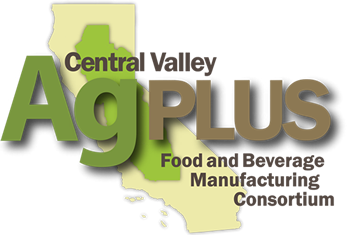 SACRAMENTO, CA – Valley Vision Managing Director Trish Kelly was notified today by the Economic Development Administration (EDA) that California’s Central Valley will be awarded $250,000 to carry out implementation activities as part of the Valley’s Investing in Manufacturing Communities Partnership (IMCP). Today, U.S. Secretary of Commerce Penny Pritzker announced the five recipients of the Department’s 2016 Market Development Cooperator Program (MDCP) awards. The American Indian Alaska Native Tourism Association, the American Society of Agricultural and Biological Engineers, the California Asian Pacific Chamber of Commerce, The Maritime Alliance, and the U.S.-China Environmental Education Foundation will share more than $1.3 million in financial and technical assistance from Commerce’s International Trade Administration (ITA) to support projects that improve the global competitiveness of U.S. industries. The U.S. Department of Commerce this week released a report highlighting goods exports from U.S. metropolitan areas for 2015. The International Trade Administration’s 2015 Metropolitan Area Export Overview indicates that goods exports from the Modesto, Stockton-Lodi and the Madera-Chowchilla metropolitan areas increased. In the Modesto metropolitan area exports for 2015 exceeded $1.9 billion, a 10 percent increase; in the Stockton-Lodi metropolitan area exports exceeded $1.4 billion, a 10 percent increase; and in the Madera-Chowchilla metropolitan area exports were over $500 million, an 11 percent increase.